A former Cohn & Wolfe digital director has co-launched a specialist social media agency, The Social Practice. The Social Practice is a full service, fully integrated social media agency backed by WPP-owned CHI & Partners and mCHI. Steve Parker and Patricia McDonald, the head of digital strategy at CHI, will run the agency, which has already signed up TalkTalk on its client base. Parker told PRWeek: ‘So many agencies are offering different types of social media strategies that the market has become fragmented to such a degree that clients don’t know where to turn. Parker left Cohn & Wolfe three months ago and has been working on the launch of The Social Practice since. He established digital practices at Cohn & Wolfe and GCI, with clients that include John Lewis, MBNA, Universal Pictures and Dell. 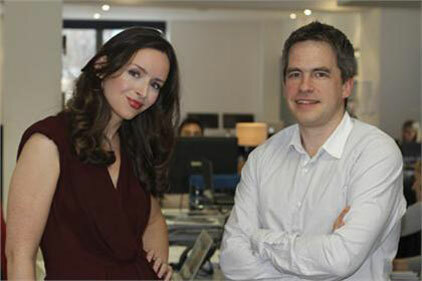 He is also a founder member of PRCA Digital Group. The move comes after an Edelman report found traditional media has lost ground to social media. ‘We have all the expertise we need all under one roof, whether its programming, digital production or social media buying and planning,' added Parker. 'We’re moving away from most agencies that offer social media, but stretch themselves too thinly and have to rely on third parties to actually get the work done.